Home » Support » Frequently Asked Questions (FAQ) » Can we use the standard fields in a custom field formula? Yes, it is possible to use the code of normal custom fields such as Start and Finish date, Due Date, Time Left, etc. 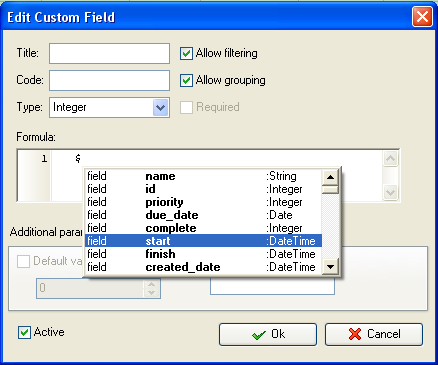 for creating your own custom fields. 2. In “Formula” field enter: $. 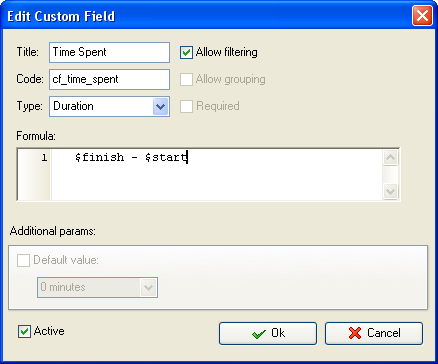 The list of available formulas for standard custom fields will appear.